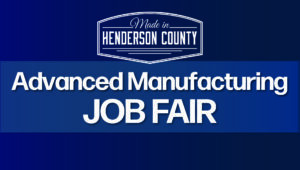 Made in Henderson County Advanced Manufacturing Job Fair…coming up April 30th! Click here for information on the MIHC Apprenticeship program. The MIHC Advanced Manufacturing Job Fair will be held again this year at Blue Ridge Community College on April 30th, 2019. You can preview companies hiring in the meantime in the links below. Employers: you can email Burton Hodges at [email protected] to register. Please note, participation is limited to manufacturers located within Henderson County. Need further help in finding a job or brushing up on any skills you might need to land a job?? Check out our section on Resources for Job Seekers!